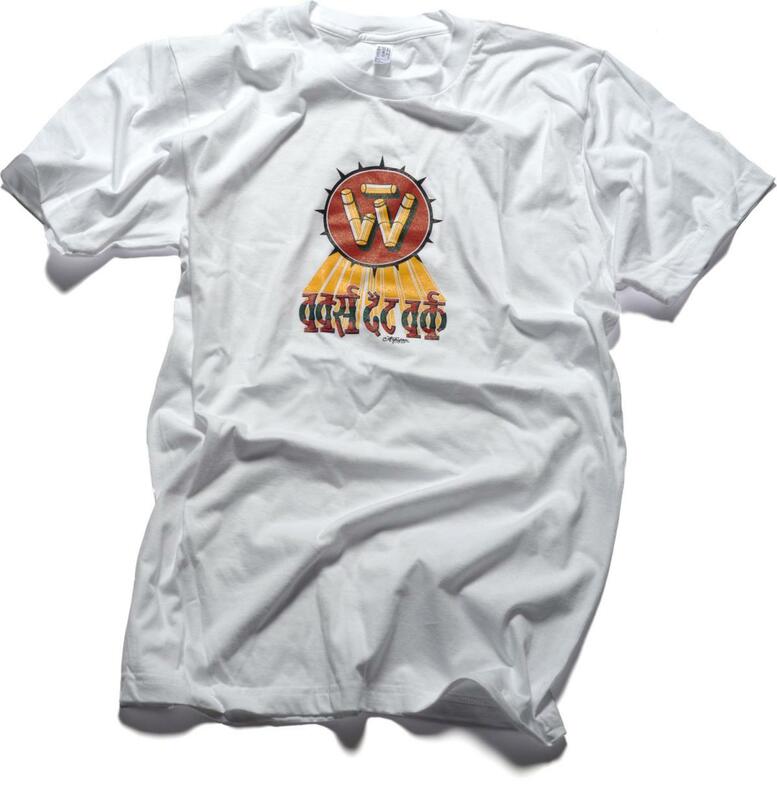 Limited Edition WTW T-shirt reverses trends of globalisation. In today’s globalised economy products are often designed in the strictly regulated business environment of a Western company, then produced in some distant land where production costs are minimal for reasons we would prefer not to think too much about. 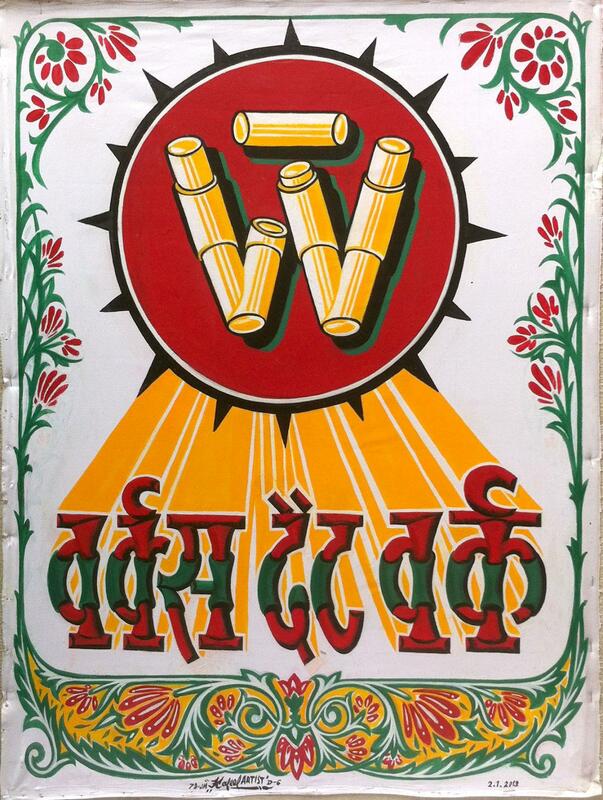 Looking for a suitable gift for the patrons who make Works That Work possible, we’ve gone against the flow by asking an Indian sign painter to design a WTW T-shirt, then bringing the design to the Netherlands where it has been produced locally on environmentally friendly garments using sustainable processes. Originally from Uttar Pradesh, Painter Kafeel has established himself in labyrinthine Old Delhi as one of Delhi’s most recognised street painters. We gave him carte blanche to design the T-shirt and paid him well for his skilful work. Kees Knaap Zeefdruk printed the design for us here in The Hague. An exclusive edition of only 20 T-shirts is also available for sale on our Typotheque site. Proceeds from their sale help to fund the magazine. Thanks a lot to Painter Kafeel, Hanif Kureshi of Handpainted Type, and Kees Knaap Zeefdruk.